Exorcism, it’s back baby! From scores of possessed Peruvian kids to the Catholic Church increasing the number of priests they train for exorcism, to a psychiatrist seriously discussing possession in the pages of The Washington Post, the word on the street is that people are getting possessed by demons and it’s gonna take some of that Power of Christ to compel them out of there! 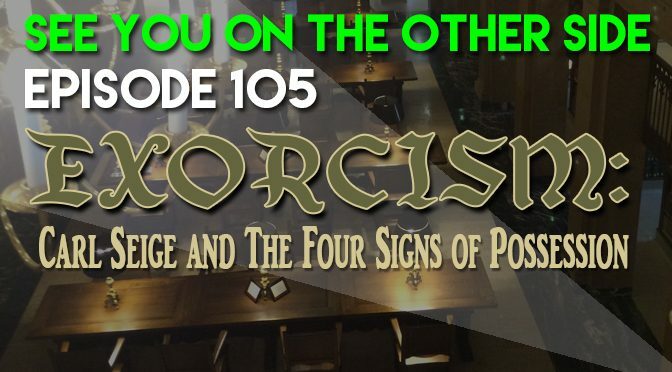 One of our favorite paranormal experts, Allison Jornlin from Milwaukee Ghosts, has been researching cases of demonic possession and we brought her on to talk about a little known, but very influential exorcism case, that occurred in the Devilish Dairy State (that’s Wisconsin) in the 1860s. Watertown, WI in the 19th Century – this is the best they could do for aerial views, I guess. Not so, Carl continued to suffer from strange symptoms. Newspapers reported that he had a lizard (or some said a snake) in his stomach. He started acting crazy so his parents brought in a Native American doctor to help draw out the evil, but that didn’t seem to work. So, they finally called in the demon-cleansing professionals, the Catholic Church. Knowing The Unknowable – This is where you possess knowledge that you can’t possible have known beforehand. People’s locations, things that they were doing, who they were with, secrets, etc… Basically psychic powers like you’re Professor X watching them through Cerebro. Understanding Unlearned Languages – Being able to comprehend when people are speaking to you in a tongue with which you have no prior experience. This is especially useful when possessed people go on vacation. Aversion to Sacred Objects – Crosses, holy water — all the kind of stuff that people try in vampire movies but never seems to work because they don’t have enough faith. Supernatural Strength – When little kids can throw a grown man across a room or a tiny middle-aged woman can bench press a sofa bed, that means they’ve probably been popping Satanic Steroids. In Carl’s case he exhibited three of the signs, number one, he met his would-be Exorcists, the Rev. John Gmeiner and another priest as they were arriving, even though no one told him when they were coming. Number two, the priests would ask him questions in Latin and he’d give the correct answer, responding in German, but showing that he understood the Latin nonetheless (even though he had no prior education in the language.) Number three, when he was deep in the throes of his possession, he reacted violently to the crucifix. Father Gmeiner invented the “Horror Movie” font 30 years too early! 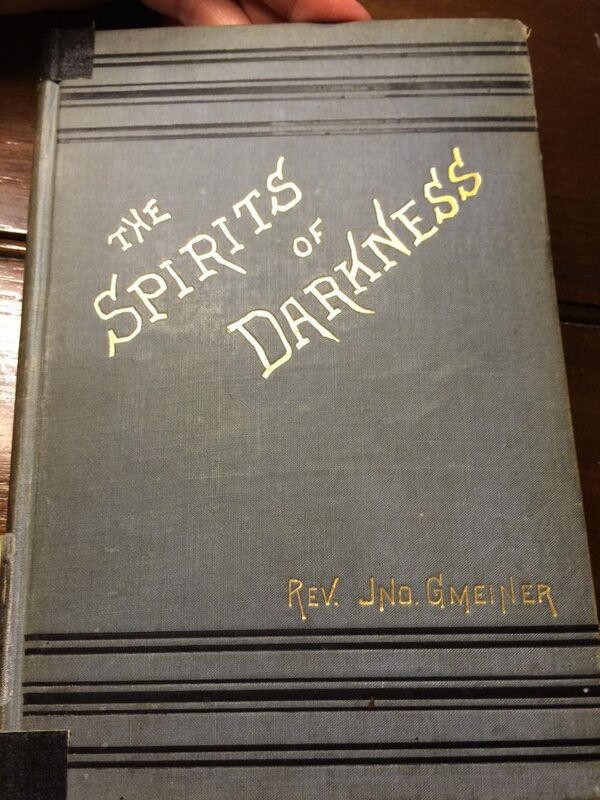 The priests exorcised Carl and were able to drive the demons out of him according to Father Gmeiner’s book, Spirits Of Darkness. But like herpes simplex, the demons never really go away, they just hide and come back in multiple outbreaks of possession throughout your life. Carl Seige had to be exorcised many times during his life to keep the Devil at bay. 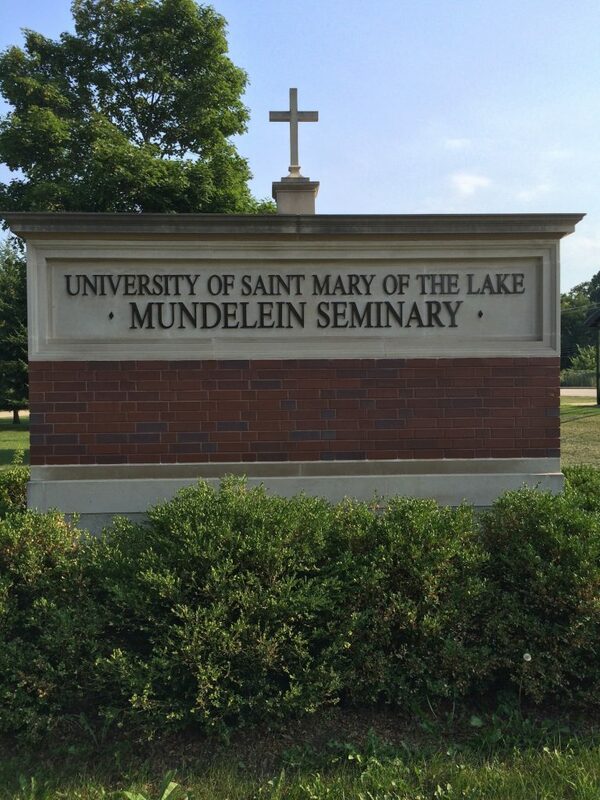 In the present day, they recently held an Exorcist training seminar in Northern Illinois at Mundelein Seminary. Allison stopped by there last week to do some research and maybe catch a glimpse of some of those Catholic heroes who are learning the proper angles to spray Holy Water and the latest in projectile vomit-avoidance techniques. Our friend, Tea Krulos, wrote an article about it in the Milwaukee Record and called it “Exorcist-palooza”. Excuse me guys, is this where all the Exorcists hang out? There’s an new Exorcist TV show coming on FOX this season as well. 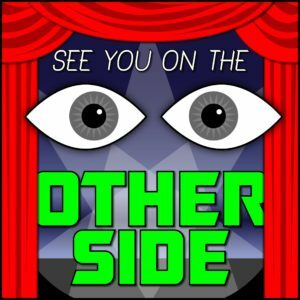 William Peter Blatty’s book was famously based on a 1949 case, but there’s some connections that Allison has been researching that are less well known, and that’s a story for another podcast. Self-harm is one of the cornerstones of demonic possession. There’s even a case in the Bible where Jesus encounters a possessed man cutting himself with stones. (Mark 5:5) This song, “Mercy of Myth” by our band Sunspot talks about how punishing yourself needlessly isn’t worth it, because not only does it make you feel bad, it also opens you up to being possessed! you can’t forgive yourself for the things you did. is all that we’re left with. and lay at the mercy of myth. even after cutting, nailbiting, hair pulling and spiting. All your shame is still toxic.